Since its beginning, Atmosphere has experienced a significant growth rate and expects this rate to increase substantially as we expand into new markets. 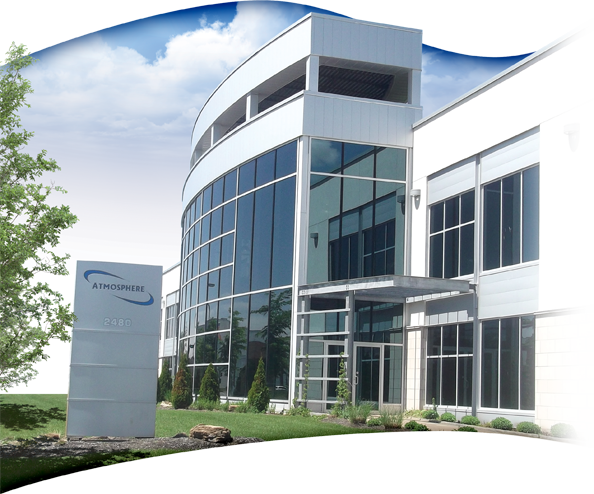 When Atmosphere first open its’ doors in 1998, the head office was based in a 2 000 s.f. warehouse in montreal. As business grew, we moved to a 14 000 s.f. warehouse and since the beginning of 2008 Atmosphere has built its’ own 46 000 s.f. green building warehouse and head office in Terrebonne, Quebec. This ecological building contains many environmentally friendly features including one of the largest vegetative green roof in Canada.